[snippet ...] In the worst cases, late payment has driven them to insolvency. A civil litigation/commercial dispute resolution solicitor tries to resolve their client's disputes. Any conflict can get in the way of work and make your business less productive. 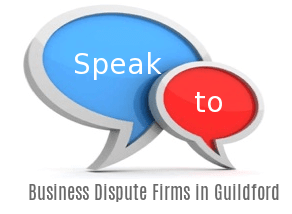 However, if you choose not to accept the decision made by the ADR scheme, you are still free to seek legal advice. Between 2010 and 2015, 70 per cent dealt with at least one dispute.